Nine of the Merced Sun-Star’s inaugural “20 Under 40” list honoring rising stars in the community are affiliated with UC Merced, including Breeana Sylvas, a senior anaylyst in the campus's sustainability office. The Merced Sun-Star’s inaugural “20 Under 40” list honors rising stars under the age of 40 who are actively engaged in making Merced a better place to live and work — and UC Merced faculty, staff and alumni are clearly doing their part. Among the 20 recipients, announced last week, are nine with ties UC Merced. They include former students who remained in the area to launch professional careers and businesses, and staff and faculty members who are giving back to their communities through volunteerism, service and leadership. Like a similar program from its sister paper, The Modesto Bee, the Sun-Star’s 20 Under 40 sought nominations from the public, which were then reviewed and selected by a committee of community leaders. Recipients will be honored at a public reception later this month at the Merced Golf and Country Club. The Sun-Star is also publishing a special section featuring in-depth interviews with the awardees shortly before the reception takes place. Katherine Brokaw, an associate professor of English literature, was nominated for her work to make the performing arts more accessible to local residents of all ages. An expert on William Shakespeare, Brokaw merged the works of the bard and John Muir for special Earth Day performances in Yosemite National Park earlier this year. She’s also the director of the annual Merced Children’s Opera, which brings thousands of school children from throughout the county to campus to experience live opera. 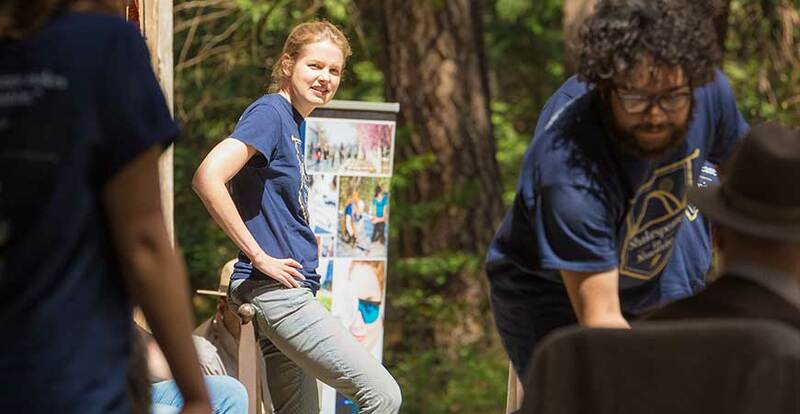 UC Merced professor Katherine Brokaw merged the works of Shakespeare and John Muir for special Earth Day performances in Yosemite National Park earlier this year. The other faculty member on the list is microbiologist Clarissa Nobile , whose research into the organisms that cause Valley Fever is of particular importance to the community and surrounding region. Christopher Abrescy – UC Merced’s executive director of alumni relations, Abrescy is a local native and 2009 alumnus. In his role at UC Merced, he organizes initiatives to strengthen ties between alumni and the campus community. Examples include last weekend’s Journey 5K Fund Run, Homecoming weekend, Giving Tuesday (GiveTueUCM) and Grad Night. Uday Bali – Bali, who transferred to UC Merced to pursue a degree in engineering, quickly fell in love with the community. Shortly after graduating in 2008, he opened the Bali Learning Center (BLC), which provides affordable tutoring, test prep and educational enrichment to students of all ages. The center has locations in Merced, Turlock and Modesto. Ryan Heller — Heller, who graduated in 2015, is a field representative for Assemblyman Adam Gray’s Merced District Office. He’s on the board of the Merced Symphony Association and a member of the Downtown Neighborhood Association. Tonya Kubo — Kubo moved to Merced in 2007 to work for the university’s communications office, where she currently serves as the online engagement director. Outside of work, she volunteers as a leadership coach for MOPS International, an organization that provides support and encouragement to mothers of young children. Brandon Ruscoe — Ruscoe graduated from UC Merced in 2009 with a degree in management. He is an associate broker at Merced Yosemite Reality, where he oversees the sales and property management team. He is also among the first alumni to endow a family scholarship for UC Merced students as part of the GiveTueUCM 24-hour drive to raise money for student support. 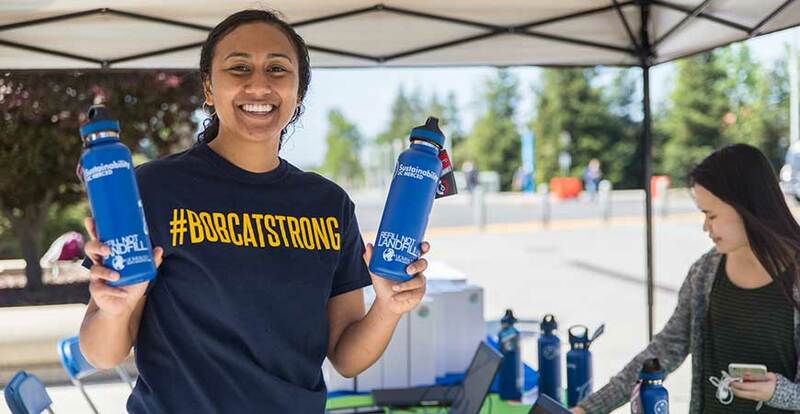 Breeana Sylvas — A senior analyst for the campus’s sustainability office, Sylvas is a critical member of the team working diligently to help UC Merced reach its Triple Net Zero goal by 2020. When achieved, the campus will be the first university to produce zero net energy, zero net emissions and zero landfill waste. The 20 Under 40 Awards reception will take place from 6 to 8 p.m. Thursday, Sept. 28. Tickets, at $25 each, can be purchased online. Profiles of the winners will appear in a special section in the print edition of the Sun-Star on Sept. 23. Every strong community or region has a bench of up-and-coming talent to lead it into the future. Our ‘20 Under 40’ program helps place a needed spotlight on these young leaders, and it’s certainly exciting to see so many of them have a connection to UC Merced.